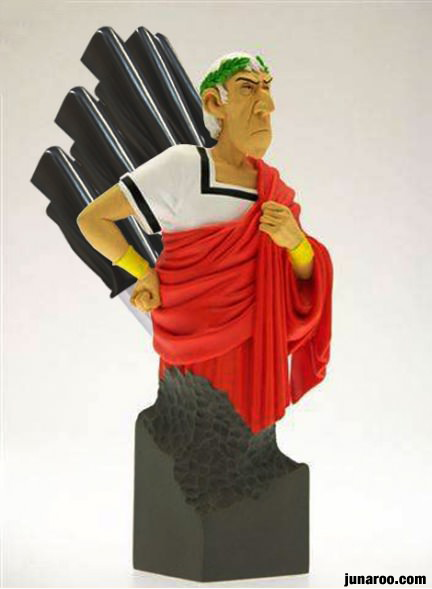 Unfortunately this is just an idea Photoshopped by an unknown netizen. Trouble is once you’ve bought them you can’t afford your next meal! 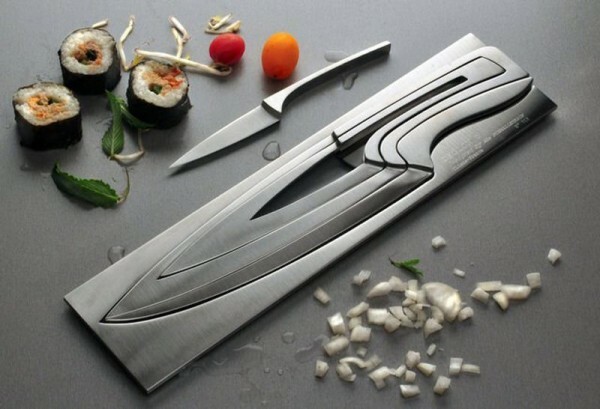 Designed by Mia Schmallenbach and produced by Deglon. 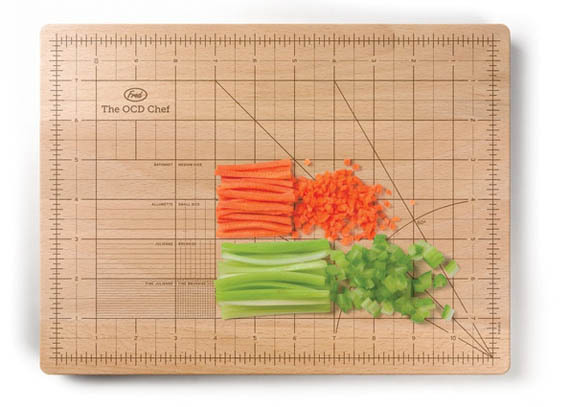 The OCD Chopping Board – Bring A Little Order To Your Hors D’Oeuvres! I don’t know how many times shoddily prepared root vegetables have made me blow chunks at dinner parties but now, no more! Kinekt Gear Ring – Jewelry For Fidgeters! Ringclock – Mechanical Jewelry Concept!